That was my treat yesterday before going to my monthly book group meeting. I usually try to stop by a local coffee shop to do a bit of reading ahead of book group. Sometimes it’s to finish the monthly discussion book and sometimes just to enjoy an extra bit of reading time in the day. 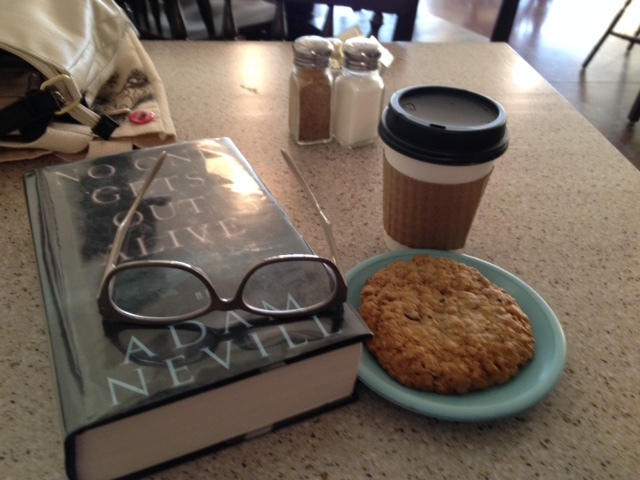 This time I had one of my current reads No One Gets Out Alive, a delicious chocolate chip cookie and a white mocha. Good times. Also good was book group. We discussed Tricks by Ed McBain which is set during Halloween and the 87th precinct is busy with a lot of mayhem going on around the city. I’m also counting this one as one of my R.I.P. Challenge reads as it’s a perfect fit for the challenge. Medicus by Ruth Downie. From Booklist: This series debut is set in Roman-occupied Britain and features wry army doctor Gaius Petreius Ruso. Newly divorced and burdened with the debts of his late father, Ruso finds himself in a ramshackle military outpost with miserable weather and minimal supplies. House of the Vestals by Steven Saylor. From Booklist: Set between the years 80 and 72 B.C., these nine tales document some of the early adventures of Gordianus the Finder. The Last Taxi Ride by A.X. Ahmad. From Booklist: This sequel to The Caretaker (2013) is another solid success for Ahmad, who conjures up a fascinating cast of characters from mobsters to cab drivers, illuminating South Asian expat culture and exploring the Indian Mafia’s long reach. Have any of you read these? I am looking forward to these reads especially The Last Taxi Ride. I may try to read The Caretaker before this one as you know I like to read mysteries in order. All the books sound so intriguing! I can’t wait to hear what you’ll think of them! I read several of Saylor’s Gordianus the Finder books years ago and enjoyed them, but don’t remember much about them. Medicus sounds really interesting to me. I like how you get a treat. Keep it up. You deserve it. I haven’t read the books you mention, but I think I’d be most interested in The Last Taxi Ride too. The chocolate chip cookie looks delicious! 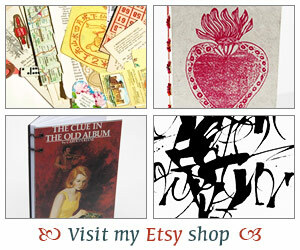 Haven’t heard of those books you are reading for next few months – I will be looking forward to hearing what you think.